So…Is it RFID or Tracking? Home|Articles|So…Is it RFID or Tracking? OK. Now that we’ve clarified what RFID is, we need to understand that it is just one of many ways of automatically capturing data to track items. RFID is one technology and one option among others which are also used in tracking applications, as we’ll see. The better-known and more common technologies are the ones we see every day on the packaging we use. A bottle of water or a chocolate bar generally have a barcode. A more sophisticated item, like a computer, a laptop battery, or a mobile phone, also often have a square code filled with little dots, which we know as Data Matrix. A marketing or advertising piece that refers you to digital content generally has a code, also square in shape, but with less densely-spaced dots, which we call QR Code. All of these examples use different technologies for a common purpose: allowing data capture from a data collector, which is able to transform these data into actions for an interpretive system running in the background, inventory control software, a supermarket cash register or even a mobile phone app. Now we know about a few of the data technologies used in the market, but we still need to explain what tracking means. As the word itself indicates, tracking means the ability to track something or someone so that it can be determined where that thing or person was at a given point in time. Next, we can say that to track something, we first need to have a data selection technology, such as the ones mentioned above, and from there, have in place the equipment, software and systems that can transfer the data captured among different decision-making levels so that transactions or data storage actions can be taken. I’m sure that by now it’s clear to you that there are different data selection technologies, which can capture data in different ways and process them instantaneously or remotely so that information on things or persons can be tracked, whether in a static or a dynamic state. Now you must be wondering about the advantages RFID has over other methods of data selection and capture; just keep reading to learn about a few of them. RFID technology uses the concept of radio waves, or electromagnetic waves, which act as carriers of energy to activate the data contained in a chip affixed to an antenna. Now we can see that one of the advantages of RFID is the ability to read at greater distances. That’s why RFID is the preferred technology for toll and parking systems, which, when they detect the presence of an RFID tag on a vehicle, raise a barrier so the car can drive through. 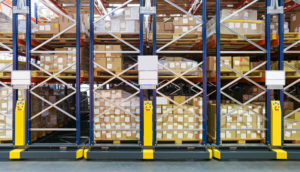 RFID is also the preferred technology for controlling assets and stock in areas that are so large that it would be unfeasible to do inventory as quickly as required. It is also the most appropriate technology for incoming and outgoing merchandise from different distribution centers and points of sale. It’s interesting to note that RFID and IoT (Internet of Things) are topics that are intimately linked. RFID acts as an important automation tool for data capture, and IoT acts as an essential tool for the communication of this data in real time, for use by different systems. Valid provides solutions and services for Tracking, IoT, and Data (among others) which can be applied to your business.